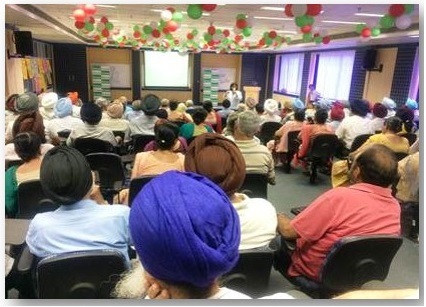 An interactive and informative session based on this year’s Global Hand Hygiene Day theme, ‘Save The Antibiotics’ was organized for the members of Mohali Senior Citizens’ Association. Dr Anita Sharma, Consultant, Lab Medicine and Dr Parvinder Chawla, Consultant, Internal Medicine, were the keynote speakers for the session. More than 125 members attended the session. 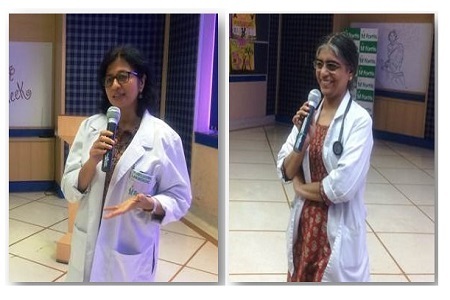 Dr Anita & Dr Parvinder shared the harmful effects of over usage of antibiotics. They stated that free availability of antibiotics over the counter has aggravated the problem. Many a times, antibiotics are given without a prescription.